A robust all round turntable truck at a great price. Fully welded construction from rectangular and round steel tube, finished in Red epoxy. Platform available in three sizes with steel platform. 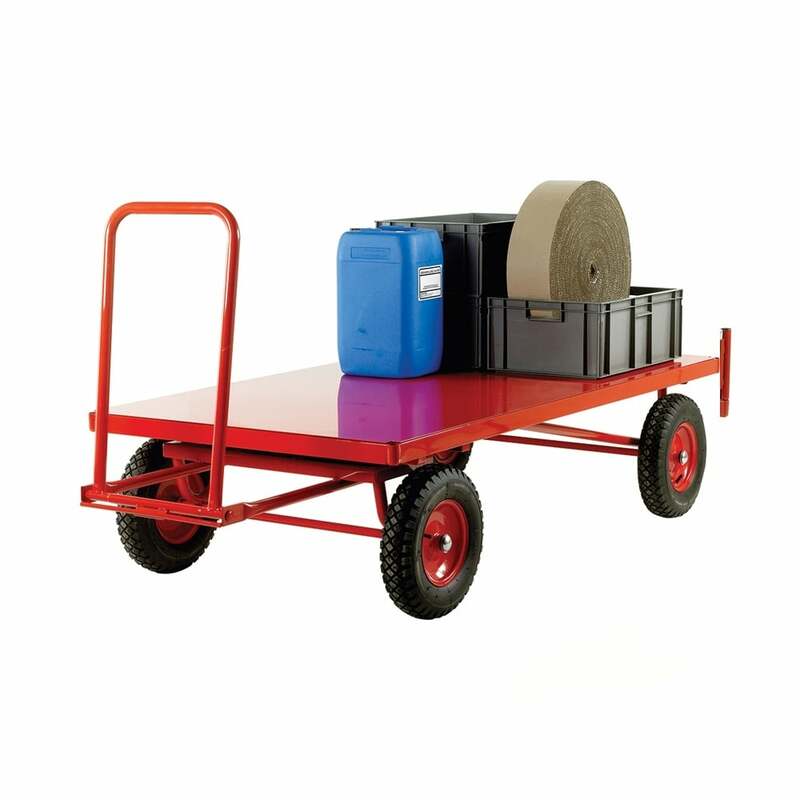 Available with either solid rubber wheels or pneumatic tyres for smooth ride over uneven terrain. Loop handle supplied as standard. 'T' bar handle also available at no extra cost, just remember to add it to your basket! Removable End/Side Panel Kit and Factory Fitted Parking Brake also available.